KC Federal Executive Board topic of next InterAgency Brown-Bag Lecture – May 8 | Command and General Staff College Foundation, Inc.
Mr. Larry A. Hisle, executive director of the Greater Kansas City Federal Executive Board, will lead the discussion in the next InterAgency Brown-Bag Lecture at 12:30 p.m., May 8, in the Arnold Conference Room of the Lewis and Clark Center on Fort Leavenworth. 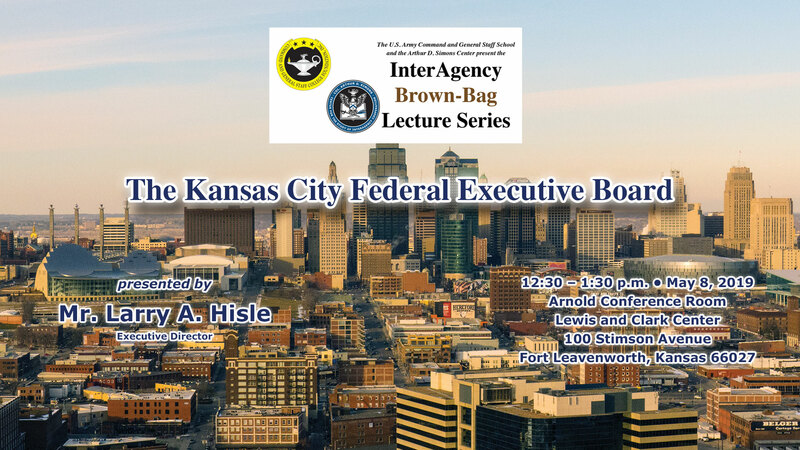 Hisle will outline the roles and missions of the Federal Executive Board and how it serves as a catalyst for communication, coordination and collaboration among the various federal agencies with offices in the Kansas City metropolitan area. The InterAgency Brown-Bag Lecture Series is co-hosted by the CGSC Foundation’s Simons Center with the U.S. Army Command and General Staff School (CGSS). The series is an extracurricular, interagency topic-focused series that is intended to help enrich the CGSS curriculum. The presentations are scheduled each month. – This is the 10th and last lecture for academic year 2019. 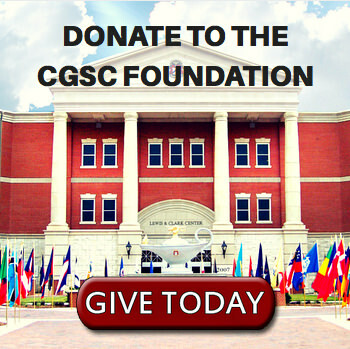 The CGSC Foundation and the Simons Center have received support for all brown-bag lectures in academic year 2019 from First Command Financial Services in Leavenworth, Kansas. All lectures in the InterAgency Brown-Bag Lecture Series are free and open to the public. As the series moniker states, the lecture series is conducted in the traditional “brown-bag lunch” format. – Attendees are welcome to bring their own lunches into the conference room. Members of the public coming to the lectures from off-post will need to add extra time to check-in at the Fort Leavenworth visitor center. 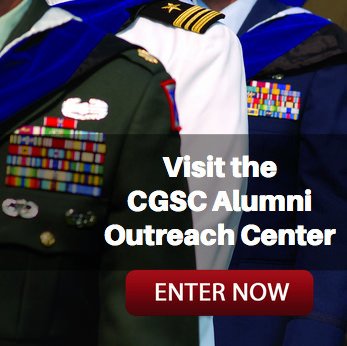 – For gate information, see the Fort Leavenworth homepage – https://home.army.mil/leavenworth.